I found this beautiful old frequency meter type BC221T at a car boot sale one Sunday morning. 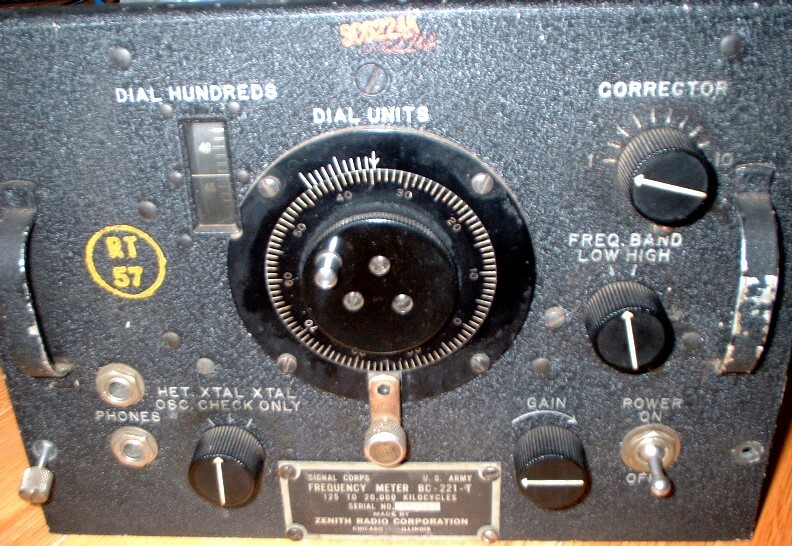 The name plate indicates that it was made for the U.S. Army Signal Corps by the Zenith Radio Corporation, Chicago Illinois. 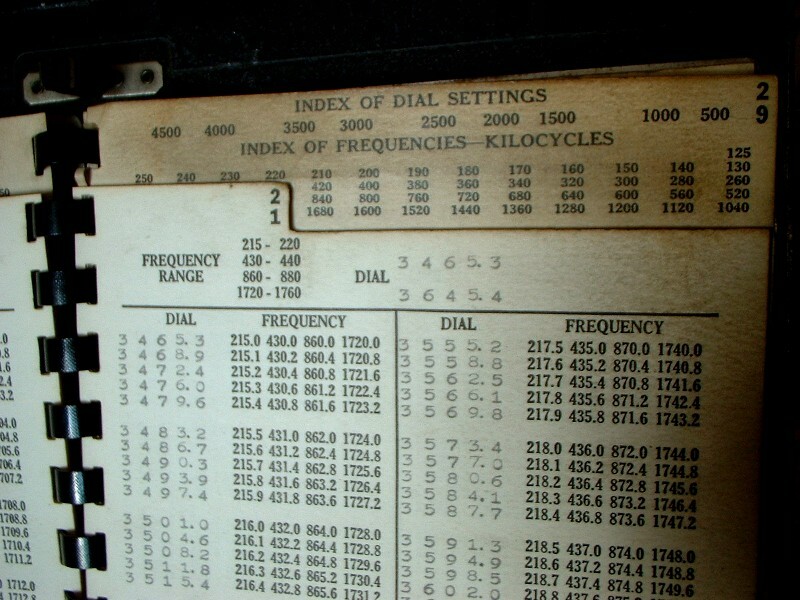 Very high accuracy measurements were possible in the hands of a skilled operator using high quality heterodyne frequency meters of this type, the predecessors of modern digital frequency counters. 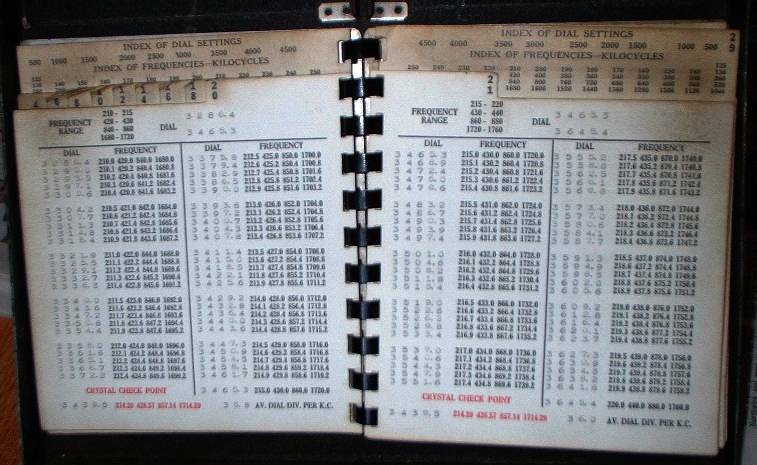 The all-important calibration booklet inside the hinged front lid lists frequency vs dial settings. The booklet for each frequency counter produced was written individually. Initially this was done by hand and extremely time consuming as you might imagine, but later productions used automated methods to measure and print the calibration tables. Removing the case reveals the beautiful and robust construction of the BC221 frequency counter. 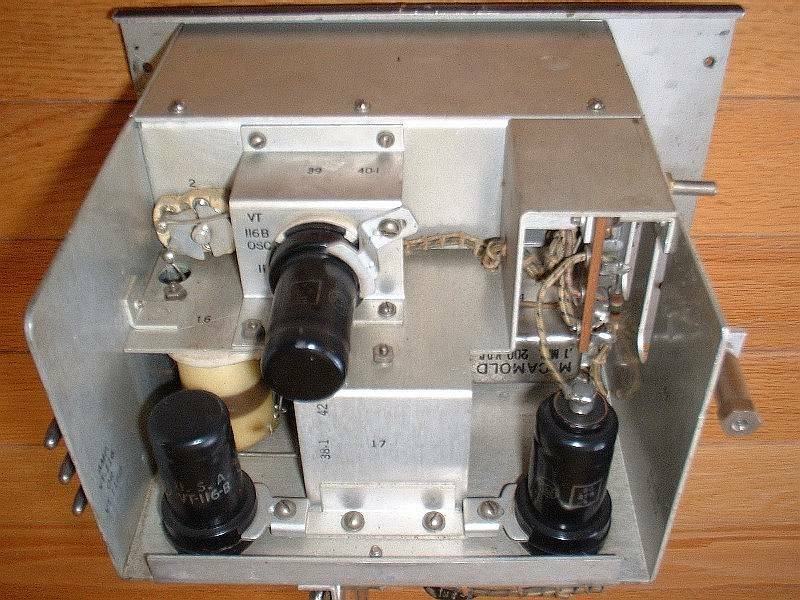 Since the BC221 frequency counters were sealed units (no ventillation grills etc. ), they always have a "like new" appearance inside, free from dirt or corrosion. 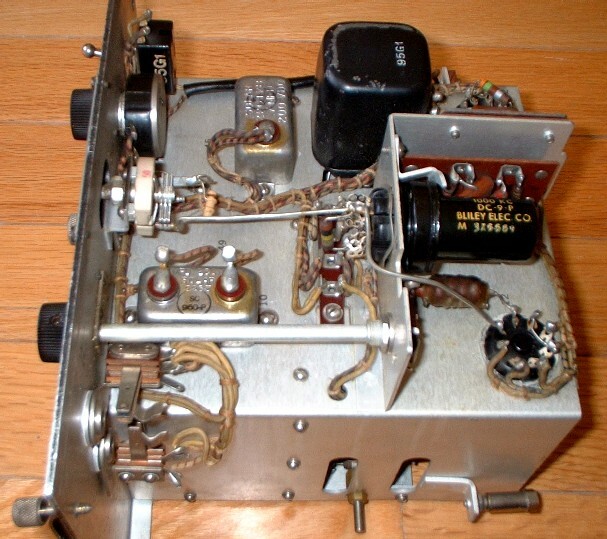 The high quality tuning capacitor and reduction drive mechanism free from backlash were crucial to making accurate measurements. The high quality 1000kcs (1MHz!) quartz crystal is sealed in an octal based holder. 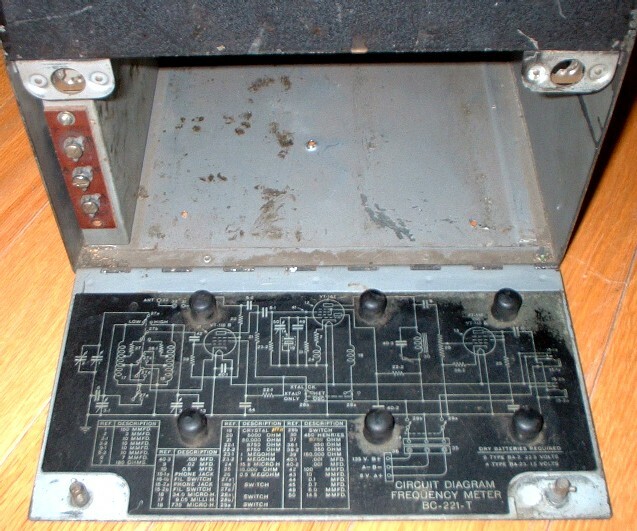 The battery compartment occupies the lower part of the frequency meter and opens via a hinged door on the rear of the box. 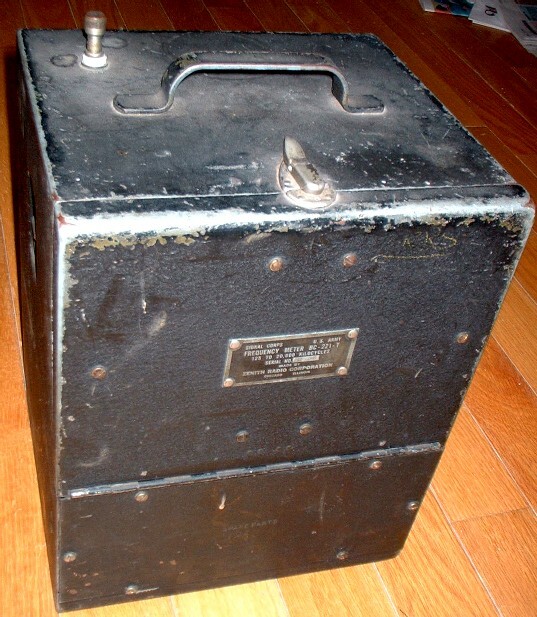 The circuit diagram of the BC-221-T is drawn inside the hinged door of the battery compartment. I love it when equipment comes with built-in circuit diagram. Click here to read an interesting article from 73 magazine, May 1971. 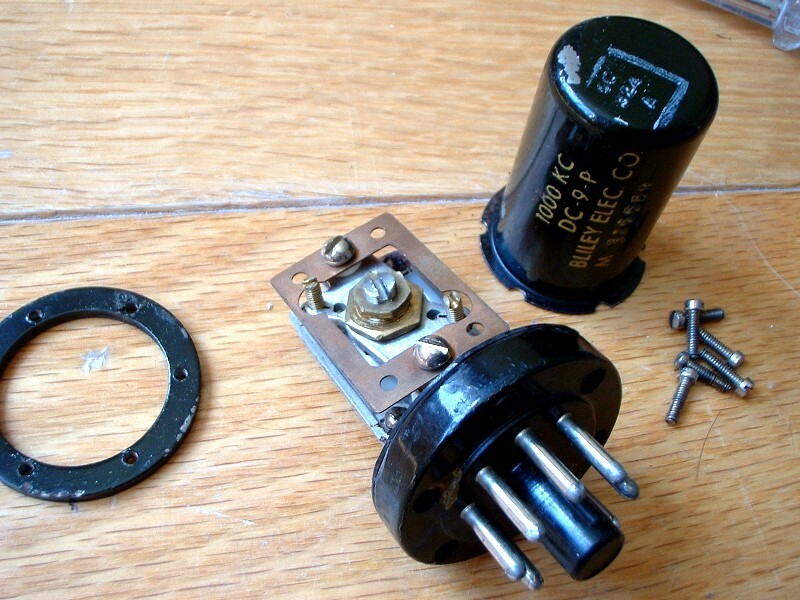 The article describes how to convert the LM-15 frequency meter to use transistors instead of valves (tubes). It also describes a calibration procedure that will suit the similar BC221 frequency meter. Thanks to Don Montgomery K6LTS for sending me the article, and the links below. 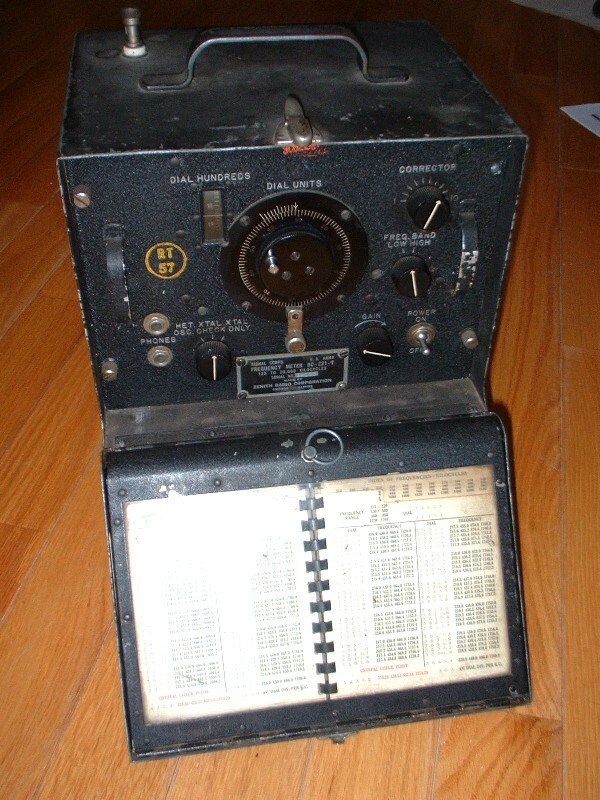 Click here to download (9.6MBytes file) the "Bendix Frequency Meter Set type SCM-221-M" service manual dated 13-Nov-1942. This is the same type that is known as the US army BC221. Tons of information on the BC221!